More discounts for registered contractors! 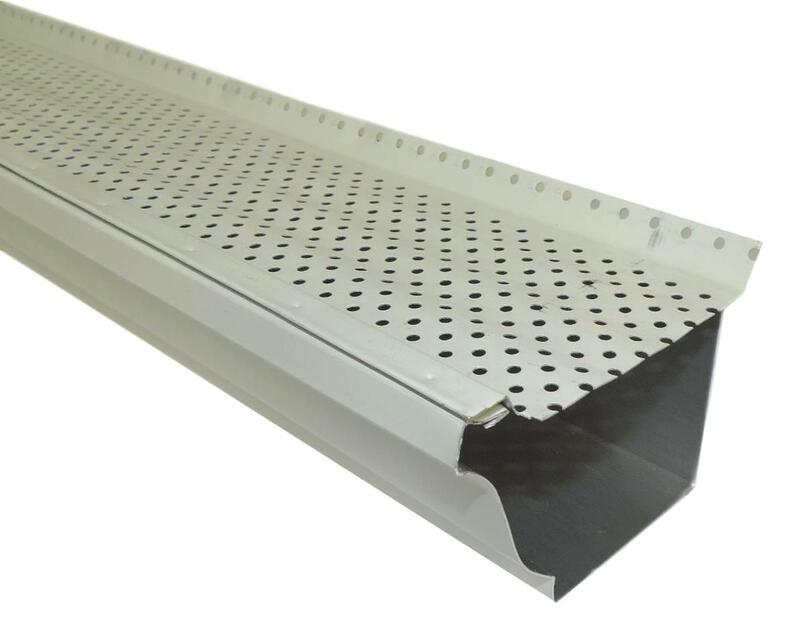 Gutter Guard keeps a very low profile....so it goes nearly unseen from street level. Gutter Guard rests on top of the hidden gutter hangers and should be over lapped 1/2". It should be riveted or screwed to the front lip of the gutter. 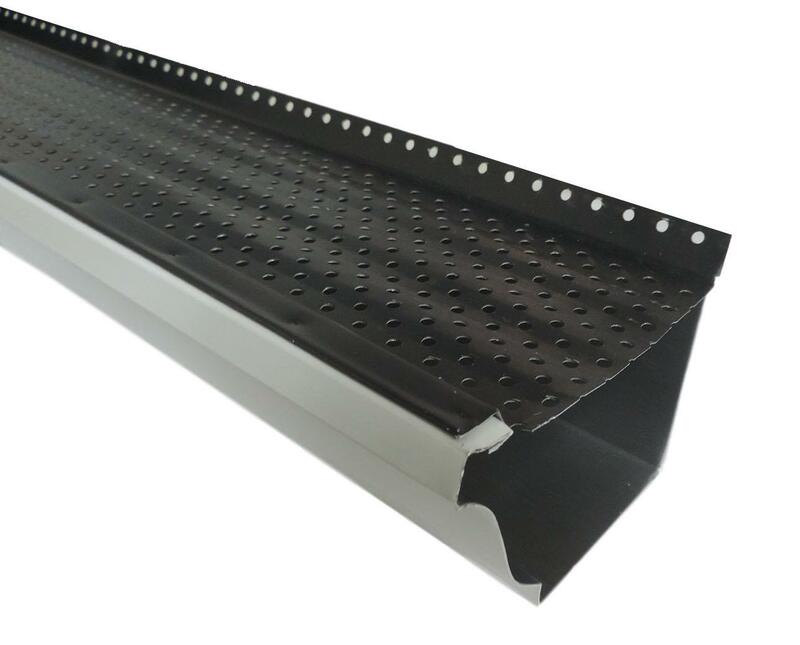 Gutter Guard is available for 5" and 6" K Style Gutters. -No more gutters to clean. -No more ladders to climb. 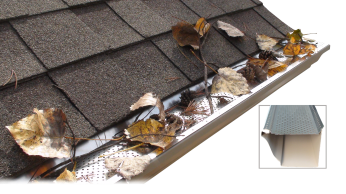 -Gutter Guard adds years of life to your gutter system. 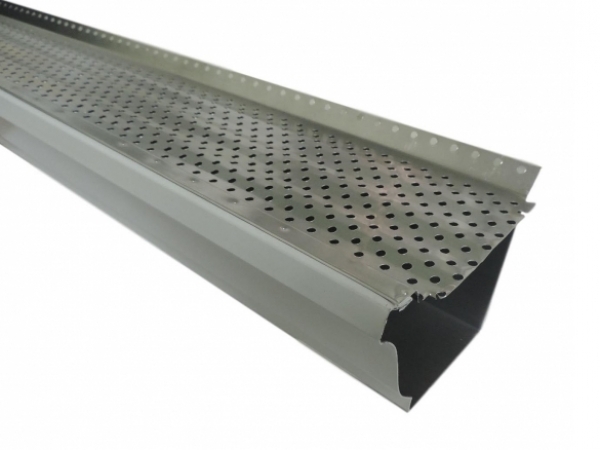 -Gutter Guard's drainage holes allow only water to enter. 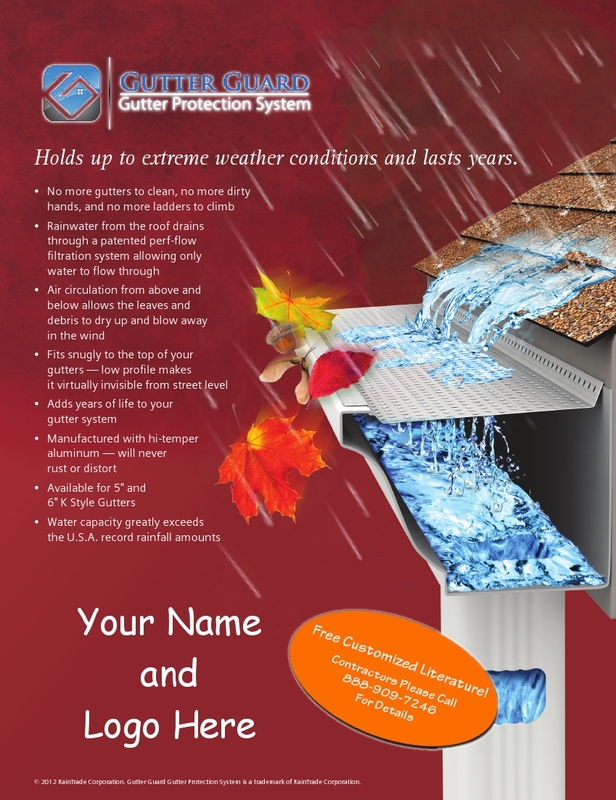 -Gutters will remain free flowing of water. -The water capacity greatly exceeds the U.S. record rainfall amounts. -It is manufactured with hi-temper aluminum and it will never rust or distort. 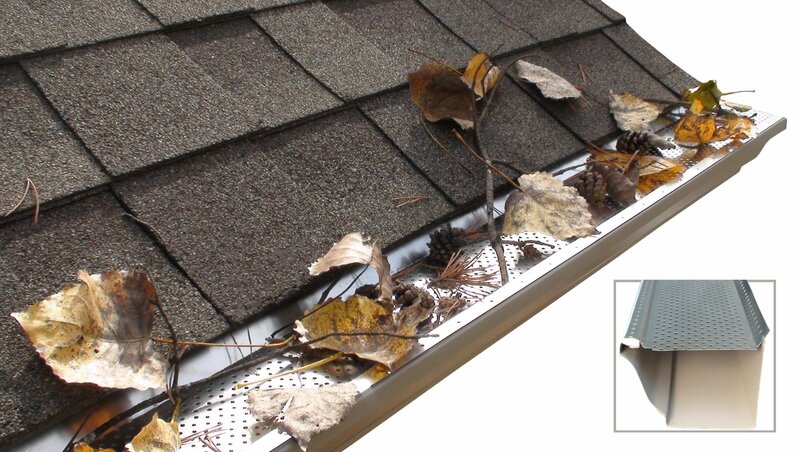 -Gutter Guard is installed on top of K Style Gutters. -Performs well with any type of roofing material or roof pitch. -Filtration system keeps working even when covered by wet leaves and debris.